With more than 86,000 employees in more than 60 markets, we have a 160-year history in some of the world’s most dynamic regions. We're listed on the London and Hong Kong Stock Exchanges as well as the Bombay and National Stock Exchanges in India. Help us make real, lasting change that goes well beyond wealth creation alone. From supporting global trade and investment to helping people, companies and communities grow and prosper, we do everything in the best possible way. It’s what makes us different. We give you the freedom and accountability to make a real difference to the work you do, challenge where we could be better and find new opportunities for innovation. You’ll be part of an inclusive community driven by integrity and transparency that balances how we do business with our promise to be Here for good. 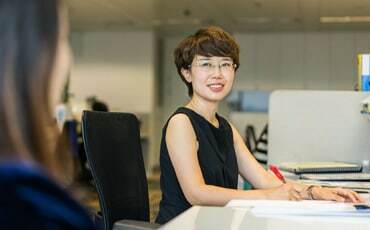 We need a diverse range of the brightest minds to help drive our bank forward so you can be confident we will help you pursue your ambitions, develop your skills and grow your career at home and abroad. To quote our Chairman, we are a “Bank with a soul”. It’s an attitude that explains our approach to everything we do, from our commitment to sustainable growth to how we communicate with our clients and colleagues to our rich 150-year heritage. Our global workforce recently helped us define our core values, and how these can shape our working culture. They reflect what we expect of ourselves and each other. Be assertive, challenge one another, and live with integrity, while putting the client at the heart of what we do. Continuously strive to improve and innovate, keep things simple and learn from doing well and not so well. Be yourself, be inclusive, see more good in others and work collectively to build for the long term. 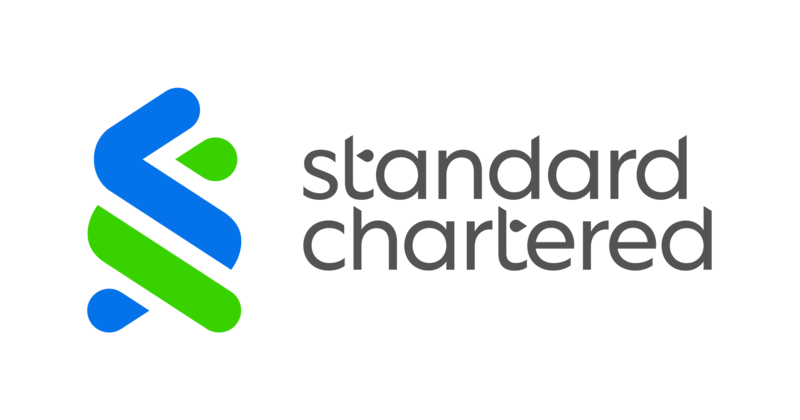 "I joined Standard Chartered because it’s an extraordinary organisation with a rich history and huge potential, serving a remarkably diverse range of clients across the most dynamic markets in the world. It’s a bank with a soul." 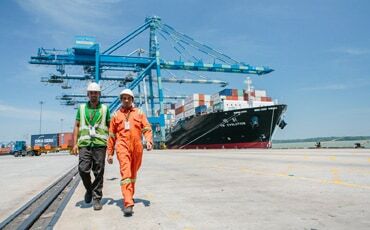 Our unique footprint stretches across Asia, Africa and The Middle East, supporting customers who trade, operate or invest in these rapidly developing markets. Building an inclusive culture is vital to our future. We value and celebrate the diversity of our teams across all our locations and business functions so that everyone feels respected and can realise their full potential. That’s why we have three dedicated global employee networks – our Global Women's Network, Global LGBT & Allies Network and Global Disability Network – as well as more than 40 local employee networks. These networks connect and support colleagues, including those who are impacted by disability, have caregiver responsibilities or are members or allies of the LGBT community. We strive to offer a safe, supportive and empowering environment for all our staff, and to be a positive employer for anyone affected by disability. We’re committed to offering you a wealth of learning and development tools to help you get to where you want to be. We provide a range of training and development opportunities so you can create your personal growth plan. Take control of your professional and personal development, learn new skills and uncover your full potential. As well as gaining the great benefits of working in our ‘Here for good' culture, we offer competitive salaries that fully reflect your skills and experience. These are reviewed annually in the context of your performance assessment, market considerations and overall affordability. Good performance goes beyond turning a profit. So when reviewing your salary, we take into account your potential as well as your positive conduct. We also provide country-specific, company-funded benefits such as retirement savings, medical cover, life insurance, annual leave and volunteering leave. Our global parental leave policy helps support colleagues and their families around the time of childbirth or adoption. This includes a minimum of 20 calendar weeks of maternity or adoption leave and a minimum of two weeks paternity leave across all our markets. We continue to invest in our People Leader's personal development across the whole bank, with programmes and initiatives sponsored by our core management team. We inspire our managers to build lasting, collaborative and meaningful relationships with each other and ensure you are supported, inspired and recognised. These values are then passed on to the next generation of talent within the organisation. Doing the right thing means being a force for good. As an employee, you can help us minimise our environmental impact and support charity through our various initiatives. 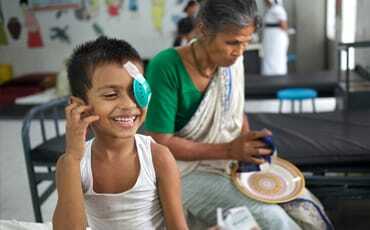 Like Seeing is Believing, which fights avoidable blindness. This year, we're on course to hit our $100m fundraising target – two years ahead of schedule. You can also get involved with Goal, our programme that empowers girls aged between 12 and 19 with the life skills they need to succeed across our footprint. Choose to work with Goal for one of your 3 annual volunteer days, or get involved in community work of your choice. As one of the world’s leading financial institutions, we foster social and economic development in our markets. Extending access to financial services, promoting responsible finance and offering products that open up global trade and investment. We’re always striving to be a more responsible bank, underpinned by strong processes. Determined to fight financial crime, minimise our environmental impact, invest in our people and embed our values across the markets where we live and work. We aim to bringing out the best in all our colleagues by establishing and maintaining a work environment that promotes positive wellbeing and healthy lifestyle choices. Across the organisation, we have initiatives and support available that focuses on mental, physical, social and financial wellbeing. From mental health first aiders to fitness classes and social support groups, we recognise that wellbeing impacts how engaged and happy our workforce feel. We also offer flexible working arrangements. You’re judged by the work you produce, not by the number of hours you sit at your desk. We have a global policy of flexible working practices that allows you to work from home, part-time and flexible hours where possible. We are changing the way people think about banking. By using technology to create a simple and seamless digital banking experience for millions of customers across our footprint in Asia, Africa and the Middle East. We have our business unit, SC Ventures, that drives ideas, solutions and technology, investing in fintechs, and setting up new ventures but we foster a culture of innovation across all geographies and business areas. We want the brightest and most diverse minds working with us to develop creative ideas that help deliver for our clients and customers.